Tae-Hun Kim retained his number one rank in the Men’s 58 Kg Taekwondo rankings followed by Carlos Navarro who is placed 2nd in this category. Meanwhile, Jesus Tortosa and Mikhail upgraded their position by one rank after Farzan Ashourzadeh dropped 2 ranks below to the 5th position. Safwan Khali upgraded his rank replacing Rui Braganca who is now placed at the 9th position. 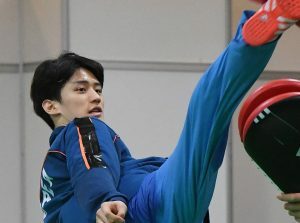 Dae-hoon Lee remained at the top of table followed by Ahmad Abughaush who replaced Alexey Denisenko to become the 2nd ranked individual in this category of Taekwondo rankings. Saul Gutierrez broke into the Top 5 ranks after replacing Aykhan Taghizade while Vladimir and Jaouad Achab upgraded their position and broke into the Top 10 ranks. Vladislav Larin remained at top followed by Alexander who is placed 2nd in the Men’s 87-Kg Taekwondo rankings. Daniel Ivan, Smaiyl Duisebay and Bryan Salazar upgraded their ranks while Yassine Trabelsi, Seydou Gbane and Jasur experienced a downfall in rankings. 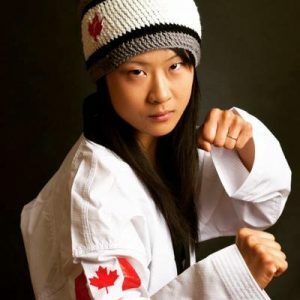 Yvette Yong leads the women’s 46-kg category in Taekwondo rankings followed by Cyprus’s Kyriaki and Ukraine’s Iryna. Fadia Farhani dropped by 5 ranks and this allowed Pouryounes, Rukiye and Charanawat to upgrade their rankings. 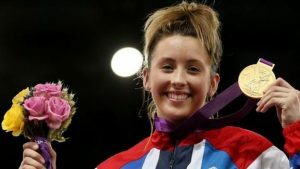 Jade Jones remains at the top of the table followed by Lee and Ilgun who are placed at 2nd and 3rd respectively. Mayu Hamada’s dropped 3 ranks down allowing Skylar Park, Raheleh and Patrycja to upgrade their rank by one position. Milica Mandic tops this category followed by Hyeri Oh who is placed at the 2nd place. Iva Rados dropped down two ranks and Karina and Maria upgraded their position by one rank to place themselves at 3rd and 4th respectively. Meanwhile, Nafia Kus made an impressive jump in rankings and is now placed 10th in this category.